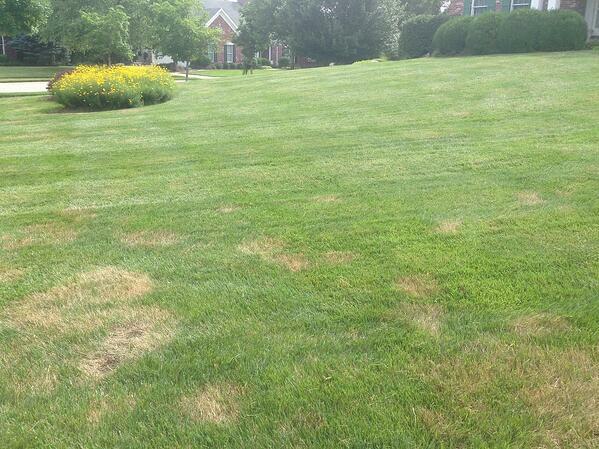 If you've noticed brown spots in your St. Louis lawn during the summer months, you may have turf disease. 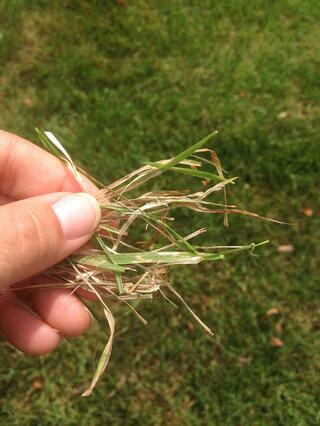 Turf disease in St. Louis lawns occurs during the summer months which is when fungicides are applied. Yellowing grass plants, thinning out, and brown spots are an indication of a problem. Fungus thrives during periods of prolonged moisture, humidity, and temperatures above 75 degrees. Thatch deeper than 1/2 inch has a severe impact too. Thin turf that has not been over- seeded is generally more susceptible to disease. A trick to identify turf disease is to check the leaf blade for lesions. Dowco uses a liquid product that works on contact with the diseased areas right away, as well as absorbs through the plant roots to provide 7-21 days of protection. Due to pressure from the pathogen and climatic conditions, some brown spots may remain. For optimal results, Dowco will apply two treatments scheduled two weeks apart. You may opt to let the disease run its course this year. These destroyed areas of turf will need to be aerated & seeded in the fall. Modifying cultural practices will also help keep a lush turf. When do I aerate and overseed my St. Louis lawn? Large areas of browned out turf will require fall seeding. Due to upcoming hot temperatures, Spring is NOT the time to seed. A fall over-seeding will enable you to crowd out weeds with a desirable grass.